A growing aerospace market demands both increased performance and improved aesthetics. The aerospace coatings market is currently valued at $1.42 billion and, according to recent estimates, is expected to grow at a CAGR of 6.9 percent through 2022 to $1.98 billion. In its global forecast, Markets and Markets found that among end-users, the commercial aviation segment is leading the market in terms of market shares and is projected to grow at the highest CAGR. “The advent of chromo-free technologies, introduction of cost-saving products, and emerging middle class are the factors driving the growth of the aerospace coatings market. Innovations in terms of applications of aerospace coatings are expected to fuel the growth of the aerospace coatings market during the forecast period,” researchers said. Among resin types, the polyurethanes segment is leading the aerospace coatings market and is expected to grow the most through at least 2022, researchers found. According to the report, polyurethane resin types are preferred over other coatings as they offer resistance to abrasion, staining, and chemicals. As is required of aerospace coatings, they have very a high degree of resistance to the corrosive effects of the sun’s UV rays. The liquid coating-based technology segment of the aerospace coatings market is projected to grow at the highest CAGR during the forecast period. “The growth of this segment of the market can be attributed to various properties, such as superior coverage on inside corners and hard to reach places and smooth and uniform finish, among others offered by liquid coating-based technology,” the report stated. Researchers also found that the exterior application segment is leading the aerospace coatings market, which is due to increased use of aerospace coatings to coat exterior parts of aircraft to protect their surface from deterioration, erosion, and cracking. In terms of regional growth, as in many other markets, the Asia-Pacific region has exhibited and will continue to yield year-over-year growth. Researchers determined that the growth of the Asia-Pacific aerospace coatings market can be attributed to the rising demand for aerospace coatings from emerging economies of the Asia-Pacific region, which include India, China, South Korea, Vietnam, and Singapore, among others. “Moreover, factors such as the improving standard of living and rising per capita income of the countries of the Asia-Pacific region are also fueling the growth of the Asia-Pacific aerospace coatings market,” researchers said. A major source of growth for the aerospace coatings market is airline mergers. As companies join forces, depending on the terms of the merger, either one or both fleets will have to undergo rebranding and repainting. According to Andreas Ossenkopf, director, Head of Aviation at Mankiewicz Hamburg, these fleets require being repainted outside regular refurbishment cycles. “When it is necessary to design a completely new livery for the merged airline, Mankiewicz is often involved in the creative process and supports the decision-makers during its development. This also frequently presents an opportunity to modernise the livery,” he said. Daniel Bencun, global platform director, Aerospace Coatings, PPG, said that overall the airline sector is still fragmented in some areas of the world, even if in recent years there has been more consolidation in certain regions. Providing a consistent, fresh look for brands is a top priority after a merger. However, as Julie Voisin, global product manager, Sherwin-Williams Aerospace Coatings, points out, most airlines are not removing the aircraft to just get it painted, but are waiting for their normal maintenance cycle. The cost of aircraft re-paints are far more than just the labor and actual prep and paint products, Voisin said. The key element is utilizing aerospace coatings that put aircraft back in the air as quickly as possible. “For example, those planes are in the air all the time and are the largest part of most commercial fleets. The typical paint cycle for that single-aisle aircraft is eight days and it’s crucial that any paint system meets that time requirement. Our systems at Sherwin-Williams from JCX to also our SKYscapes basecoat clearcoat fit and meet all commercial requirements. Those planes are built to be in the air as much as possible to generate maximum revenues. We are prepared to meet that commercial paint cycle with technical support and quality one-application products,” she said. Demand for aerospace coatings is driven by several factors. Chief among them, Bencun said, is the level of new builds, which depends a lot of segments. “Commercial aircraft manufacturers are in the ramp-up phase, and this results in higher demand for coatings. The outlook for coming years is very positive as the number of aircraft increases due to higher industry demand. Regional commercial manufacturers also contribute to higher coatings demand, with new emerging programs expected to contribute positively in the future,” he said. Coatings demand for the aftermarket remains strong in all regions of the world, Bencun added. “Additionally, the military segment is also seeing a positive trend, despite lower defense budgets, in almost all regions of the world. This growth will come from new programs but also from build rate increases by some specific customers,” he said. 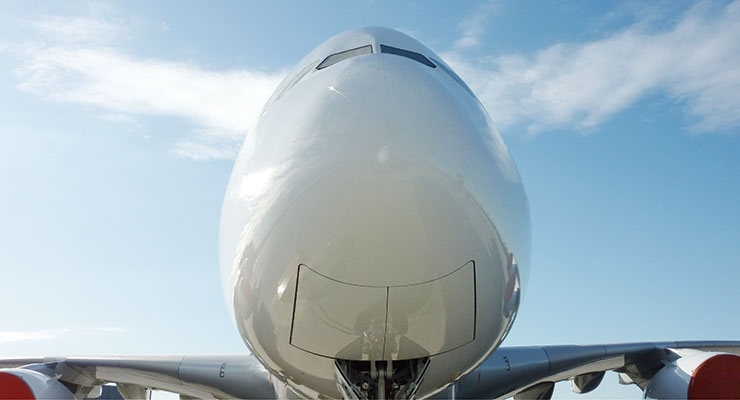 According to Ossenkopf, the global airline industry is experiencing growth at present and so the demand for coatings is expanding along with it. 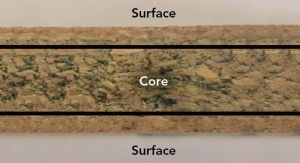 “As the use of new materials like composites is becoming more widespread, novel and additional solutions are required of coatings, because such surfaces are not as perfect as aluminum,” he said. Much like products on store shelves, airlines must update their appearance so as to present a differentiated product from their competitors. To aid in differentiation, Mankiewicz has developed a BaseCoat/ClearCoat system for exterior painting. In addition to exterior finishes, the colors and design effects of an aircraft’s cabin create a unique selling proposition, according to Ossenkopf. “This provides us with an ever-broadening range of application for our qualified FST (fire-smoke-toxicity) interior paint,” he said. According to Voisin there’s been a trend over the last five years or so in the use of more mica and metallic effect pigments. “In the past you would see small, thin metallics or mica stripes on the side of an aircraft. Recently they slowly started creeping into larger sections of the aircraft. Now you have some aircraft featuring a metallic or mica scheme over the entire livery,” she said. Voisin noted that this can bring on significant issues for the paint applicators. 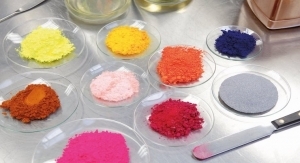 “We’re fortunate to have an extensive technical team trained on new solvent blends and related products to help make sure the effect pigments lay down properly in the first place,” she said. Aerospace coatings – perhaps more than coatings in other markets – need to not only be aesthetically pleasing, but must perform flawlessly under extraordinary conditions. Durability, as it relates to aerospace coatings specifically, means it “lasts against punishing weather, extreme temperatures, corrosion exposure and aggressive chemical and cleaning materials,” Voisin said. Additionally, she added, customers value a coating that provides a long-lasting, outstanding finish. Another performance-related trend is automation, which is already routinely used for the coatings of structural parts and interiors, but is now beginning to be applied for the larger surfaces of exterior coatings as well. 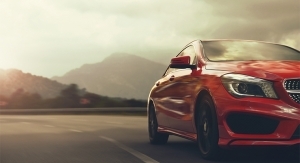 “Environmentally-friendly water-based coatings are high on the agenda and the same goes for application processes that precisely meet customers’ needs. This is made possible by our structural parts filler and primer portfolio that is applicable wet-in-wet. Chrome-free primers for aluminium parts could further help by reducing the dry film weight by up to 10 percent,” Ossenkopf said. Because PPG serves customers all around the world and in all aerospace segments, Bencun said the performance required by its customers is just as diverse. Nevertheless, he said, there are general trends in performance driven by a few key factors. “Weight savings is a benefit that all our customers are looking for. Our Desothane HD basecoat clearcoat allows companies with complex liveries to save weight on their aircraft. We have seen coatings build reduction up to 20 percent in some circumstances. One other example of weight savings we provide to the industry is our Aerocron electrocoat primer by which structural parts are coated by electrodeposition instead of a traditional spray process. This technology brings uniform film on the part, resulting in up to 75 percent coatings weight savings on highly complex shaped parts,” he said. Bencun added that both of these new technologies also contribute to one other driver: productivity. For aircraft manufacturers as well as for aftermarket operations, this is a key factor for financial performance. “Therefore, our products are designed to reduce this workshop time and allow our customers either higher ramp-ups or higher rotations of their assets,” he said. Bencun added that customers in this market are also looking for higher durability of coatings. Even if the repaint cycle doesn’t increase, the requirements in terms of color and gloss retention are higher than in the past. 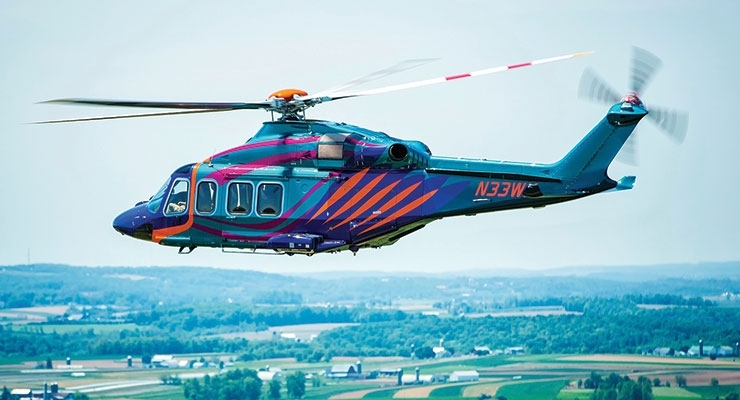 “Our Desothane HD basecoat clearcoat increases this performance and we can see brighter and more colorful aircraft supporting airlines’ brands and image,” he said. Because customers are also looking for more environmentally friendly solutions, PPG considers regulations such as REACH in all its development efforts. Finally, Bencun added, there are trends in terms of operational performance. “Our customers require a responsive supply chain with local presence to face current ramp-ups and also the decrease in their cycle times. 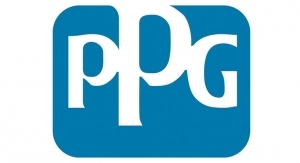 PPG’s global network of 17 aerospace application support centers allows us to be highly responsive and locally address customer needs,” he said. Leading aerospace coatings manufacturers are frequently introducing new technologies to the market. What follows is information on these new innovations from select manufacturers, in their own words. Mankiewicz often develops special products to meet its customers’ needs. For example, a highly flexible primer for engine nacelles. Composites on the nacelles are subjected to extreme movements and this causes cracks in conventional, rigid primers and exterior paints. By contrast, Mankiewicz FlexPrimer stretches flexibly under stress and this keeps the surface paint free of cracks. PPG’s aerospace business has launched several technologies in recent years and there are more to come. The company’s Desothane HD basecoat clearcoat for external surfaces is highly recognized in the industry. With more than 600 aircrafts painted to date, this product allows customers to paint faster, lighter and brighter. 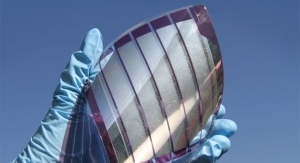 A second product is PPG’s solar reflective coatings that are offered in either a basecoat clearcoat version or traditional direct top gloss version. This product, based on specific pigment technology, reduces the temperature of the aircraft skin painted in dark colors by up to 20˚ to 25˚F. The main benefit is reduced energy required to cool aircraft. PPG has also introduced several chrome free primers in recent years. On the external side of the aircraft, the company has launched its Desoprime chrome-free wash primer 7530/7065 to replace its older chromated technologies. Several customers have adopted this technology, which is more user-friendly both from environmental and application standpoints. On the structural side, PPG’s Aerocron electrodeposition coatings have been qualified according to AMS3044 in addition to several other manufacturer specifications in the EMEA and North American regions. On structural parts, PPG also provides Desoprime 7521, a sprayable epoxy primer, also approved according to several manufacturer specifications. 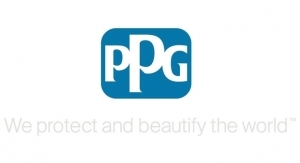 Finally, PPG considers itself “the color expert.” PPG has adopted its Andaro special effect pigments technology, traditionally delivered in a direct topcoat version in its new Desothane HD basecoat clearcoat technology. Several colors are available for this high depth of color technology. For aircraft exteriors, the commercial paint cycle is a critical component to the airlines. Sherwin-Williams’ JCX commercial coatings is designed for the airline customer and it is simply kitted so that it’s easy for the applicator to use. It’s designed in a way that is productivity efficient for the commercial airline customer. Sherwin-Williams has a wide spectrum of colors, textures and looks for the interior of the aircraft. The company’s Jet Flex product line has been used on Boeing aircraft for decades. One of the beautiful features is its stain resistance. Think about how much an aircraft is touched, banged, pulled on, and scraped throughout a day. Jet Flex is designed to last that kind of environment. Jet Flex Elite offers the customer even more effect-looks. Having a mica in the material gives it a gloss or sheen on the aircraft to achieve an elegant look, ideal in the business class or the first class section of an aircraft. New for this year is a product line called Jet Suede, designed for the texture of the interior aircraft. The company reports that it feels like suede and has a soft feel to it so it offers the customer a different experience when they’re touching an armrest or different parts of the plane. Featuring 38 new colors, new Jet Flex ELITE Polyurethane Enamel from Sherwin-Williams Aerospace Coatings now provides an extensive color palette for interior aircraft cabins. Unique interior colors like Foggy Forest, Stormy Sea, Steamy Latte, Silvery Moon, Sunset Blush, Coastal Breeze, and even Golden Radiance, provide interior airline designers with a choice from the latest bright whites and neutral colors to warm hue effects -- all while still providing an interior aircraft surface with outstanding stain, high abrasion and scratch resistance. Jet Flex ELITE is an OEM qualified paint system, ideal for commercial and private aircraft interiors. It now features improved appearance and application features, as well as options of either as a single-stage interior product (for colors), or a two-stage system (for whites and light colors). Designed to offer subtle sophistication and mood enhancement to aircraft interiors, Jet Flex ELITE colors are responsive to LED lighting. These coatings create a subtle glow with highlights and colored shadows not seen with current interior cabin coatings. Color tones have been derived and inspired from Sherwin-Williams’ most popular interior design and architectural color lines. 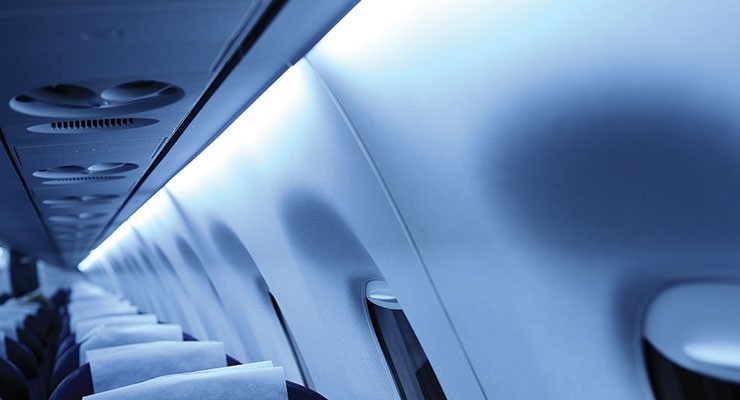 Using an interior cabin coating like Jet Flex ELITE is a cost-effective way to improve the passenger experience in both the economy or premium class sections of the aircraft. Sherwin-Williams Jet Flex ELITE is recommended for interior applications and applies easily to plastic, metal and composite surfaces. 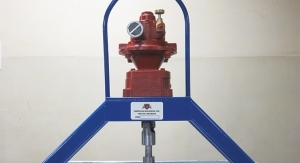 Based off Boeing qualified technology (BMS 10-83), it meets the most stringent requirements for stain and abrasion resistance as well as the FAR / JAR 25.853 regulations for burn, smoke and heat release. 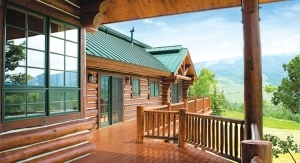 Sherwin-Williams Aerospace Coatings provides a variety of premier cabin coatings systems designed to provide a smooth, textured or soft feel finish. It also offers a variety of aerospace primer products specifically designed for aircraft interiors. These primers complement Sherwin-Williams interior aircraft topcoats by assisting with substrate adhesion and hiding profile and surface imperfections.